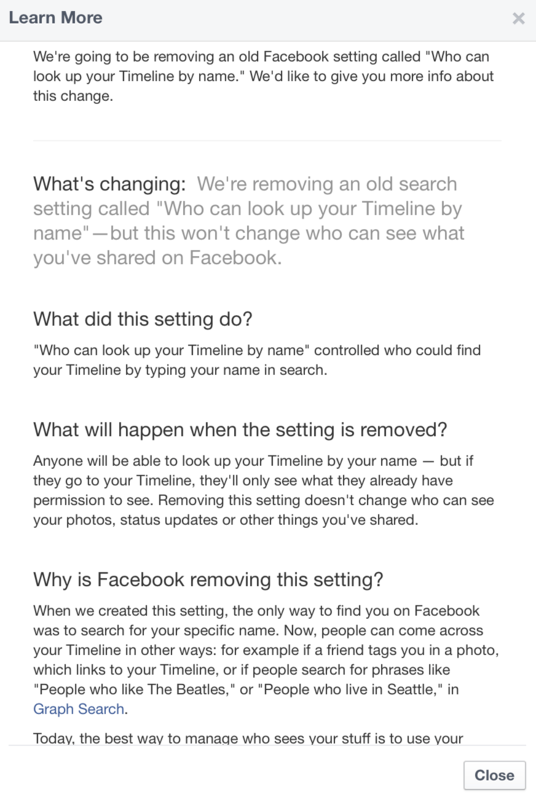 In a few days, we’ll be removing an old Facebook setting called “Who can look up your Timeline by name.” We’d like to help you understand this change. Facebook is removing this privacy setting, notifying those who had hidden themselves that they’ll be searchable. It deleted the option from those who hadn’t used it in December, and is starting to push everyone to use privacy controls on each type of content they share. But there’s no one-click opt out of Facebook search.